Did you know that Barrett-Homes is the oldest Acoustical Contractor in Arizona? Acoustical ceilings offer designer touches and sound improvement to commercial, healthcare, educational and industrial spaces. 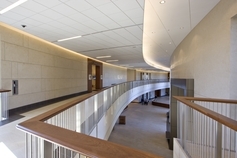 BHC offers a broad range of acoustical suspension systems and acoustical tiles in a variety of textures, sizes and colors for every budget and design. We have over 60 years of industry experience and continue to provide leading edge service to our clients. BHC offers design assistance, budgeting and construction for all of your acoustical needs. Our commitment to exceptional quality and the detail of our work can be seen in many regional facilities.